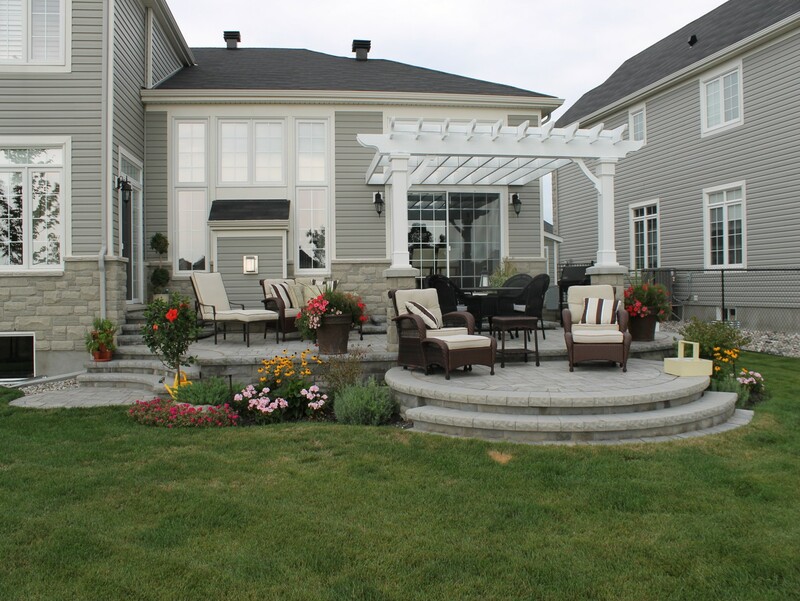 Patios provide a private outdoor area to relax and enjoy family and friends. You can increase the livability of your outdoor space with features like outdoor kitchens or fireplaces, pergolas, water features gardens. Raised patio constructed with Permacon Laffit step stone and caps and Mondrian pavers. Deck entry constructed with Timber Tech composite decking. 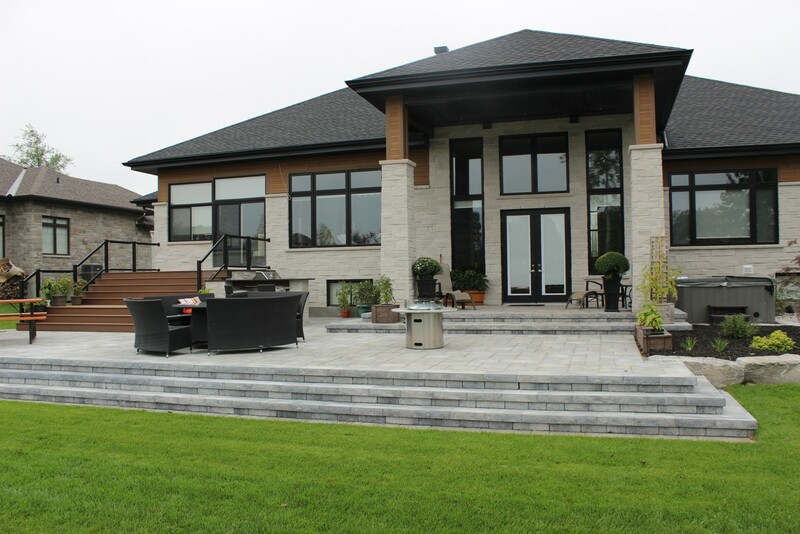 Large multi-level patio constructed from Permacon Mondrian pavers, Lafitt wall and artificial turf. 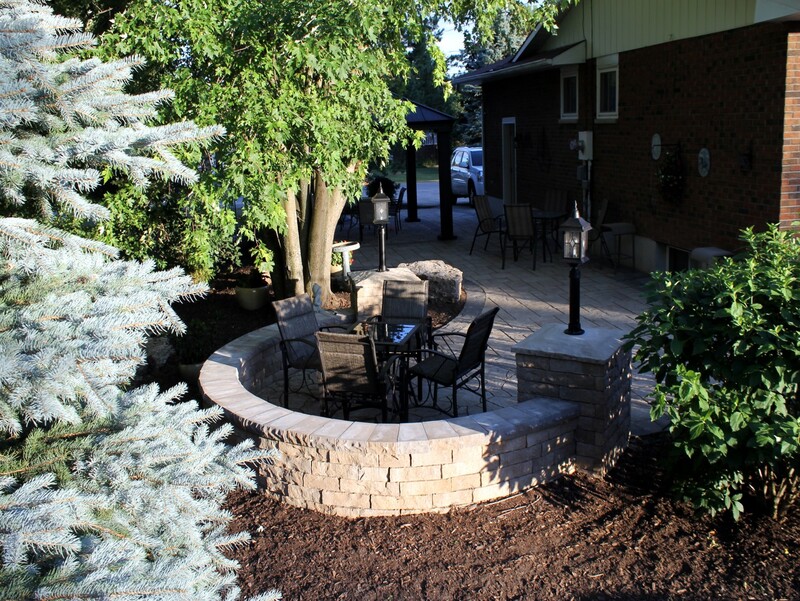 Breakfast nook patio and pillars constructed with Permacon Laffit wall with Permacon Mega-Arbel pavers. 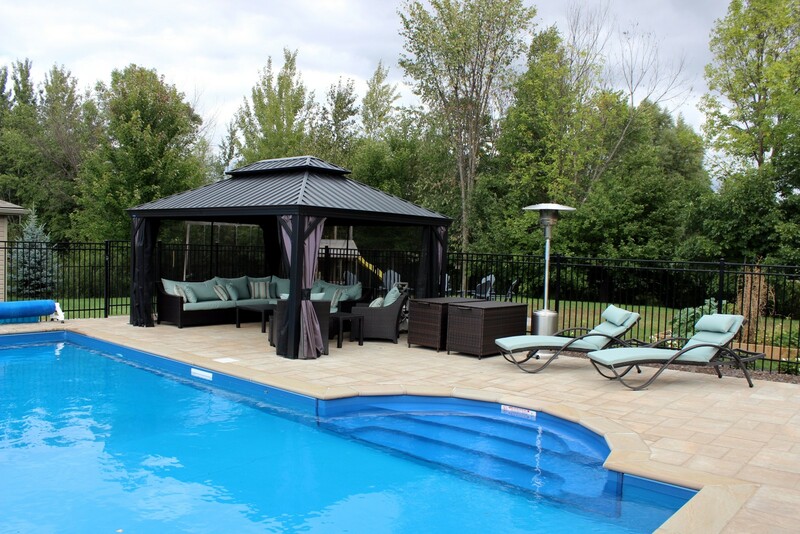 Raised patio constructed with Permacon Lafayette wall stone and cap. Pillars constructed with same stone as house. 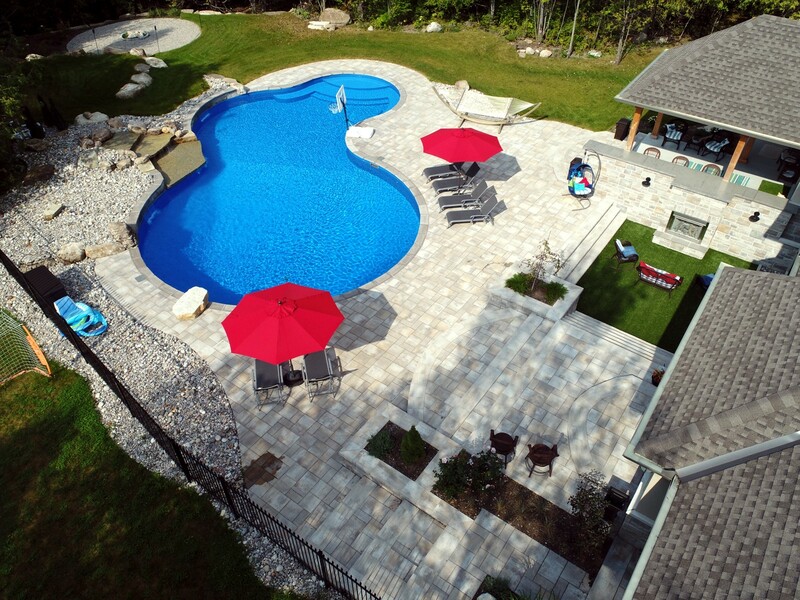 Poolside patio constructed with Permacon Mondrian pavers. 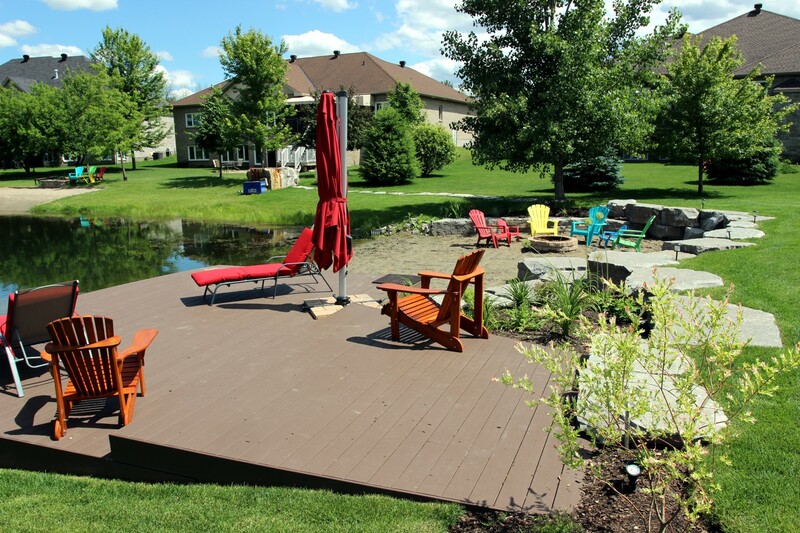 Lakeside deck patio constructed from Timber Tech composite decking.